The Jeep has helped people around the world get to where they need to go for almost 80 years. Originating as an army vehicle for getting over rough terrain and running reconnaissance, the Jeep has been a major part of the civilian transportation industry since 1945, and still provides a fun, reliable experience for millions of Jeep owners. Currently, there are seven great models of Jeep that are produced for the 2016 year. All of these are great selections when it comes to performance, safety features, and price. Before we get into what Jeep is offering for each of these models, let’s take a look at the history of the brand. As mentioned previously, the Jeep started out as a vehicle designed for reconnaissance in World War II. The Jeep was a quick, all-terrain vehicle that was easy to maneuver and tough enough to take a few hits. In addition to its capabilities in combat, Jeeps were also excellent for non-combat work like laying cables, trucking materials from place to place, as pumpers for firefighting, and as ways to transport injured soldiers. For the most part, Jeeps were valued for their load capacity and reliability over difficult terrain. It wasn’t until 1945 that the Jeep shed its military-only utilization and the flagship CJ-2A was produced (the CJ stood for Civilian Jeep). After this period the Jeep was emulated many times around the world and today there are millions of the vehicles on the road. In this article, we’ll cover all of the seven Jeep products produced by this brand this year. For clarification, we’ve started with the SUV models first. The Grand Cherokee has been in production since 1993 and is one of the first luxury SUVs produced by the Jeep brand. The 2016 model packs in a 295-horsepower 3.6-liter V-6 engine with an eight-speed automatic transmission. A rear-wheel drive train, for this model, is standard. ParkSense rear parking system – this system automatically kicks in when the vehicle is in reverse and going less than ten miles per hour. The sensors in the rear bumper scan for objects less than 79 inches from the vehicle so that the driver doesn’t accidentally back into something. Driver knee airbag – Since impacts rarely only affect the top portion of a driver/passenger, these airbags are designed to absorb potential impacts to the knees. This is a great car for taking it off-road from time to time, yet it has plenty of grace for city cruising as well. This is a car that has a little bit of everything for every driver. 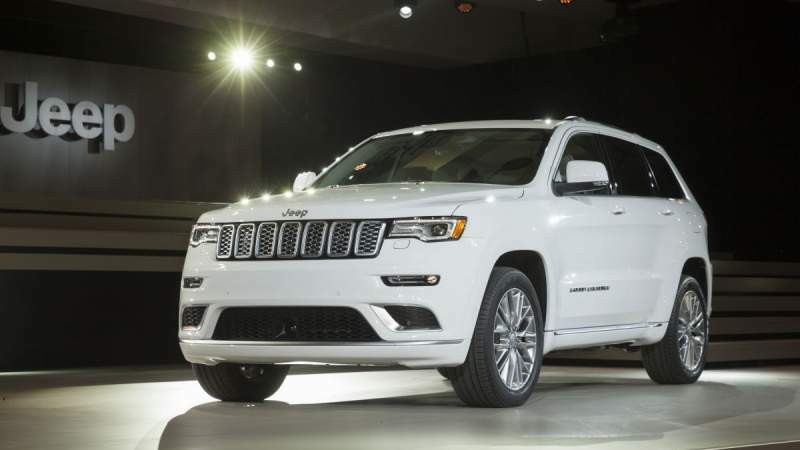 Things to note: The two-wheel drive version of the 2016 Grand Cherokee garnered a four out of five-star rating in government crash tests and the four-wheel version scored a perfect five. For the V-8 model of the Grand Cherokee, its EPA highway fuel-economy rating is 22 miles per gallon (mpg). On the other hand, the V-6 in both city and highway tests gets 18mpg in city and 25mpg on the highway. Jeep Cherokee buyers have a lot of choices when it comes to engine and performance. This is a very safe car. Needs a bit of space to come to a full stop: 131 feet. 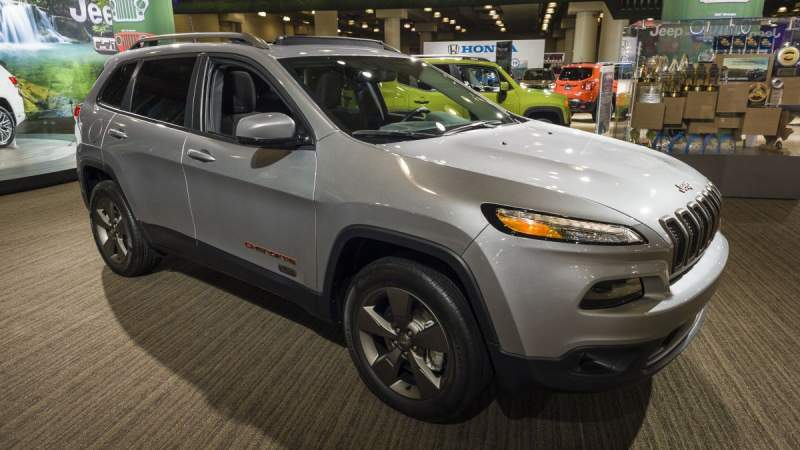 The Cherokee serves as more of an entry-level SUV than its Grand cousin, but also has a lot of the great safety features that have become a hallmark of the Jeep line. Considered to be a crossover SUV, this vehicle is a great middle-of-the-road model for those who occasionally take their adventures off-road. For those with a need to be more rugged, the most off-road tough version of this crossover is the Cherokee Trailhawk. This is a stylish crossover that looks better in urban environments than some of its competitors. For the Smartphone users with Qi-chargeable devices, this vehicle can come with a wireless charging pad for additional convenience. This crossover SUV has a nine-speed automatic transmission that provides top-notch fuel economy and performance; as a matter of fact, the vehicle can compete with some four cylinder vehicles. In addition to this, this Jeep vehicle utilizes the Selec-Terrain system that uses 12 separate vehicle systems in order to adapt to varying terrains automatically. Tire pressure monitoring systems. This is perfect for helping you avoid a blowout. Ventilated front disc and solid rear disc braking system. ParkView Rear Back-up Camera so that you can visually track how much back-up space you have. Based on EPA tests, the 2016 Cherokee ranked 19 to 22mpg in the city and 26 to 31mpg in highway driving situations. Seating in this crossover is pleasantly spacious. The infotainment system has been updated; it now has drag and drop functionality and Siri support. This isn’t a very powerful car as the engine is fairly standard. Once again, this vehicle is really lacking when it comes to cargo space. Performance can run a little sluggish. The 2016 Jeep Compass is a car that’ll get you around in the city, but isn’t the strongest on the trail. It has a plethora of great features for city and highway driving though, including a slim and sleek design as well as a front wheel drive system that does give it a little oomph. Rumor has it that there will be a brand new Compass for 2017. The Compass has acoustic laminated front windshield glass that cuts down noise from the engine and the highway. The Sport model has cloth mesh front seats. When it comes to performance, the Compass is middle-to-rear of the pack. It packs in a 158-hp 2.0-liter four-cylinder system or an optional 172-hp 2.4-liter four cylinder if you’d like a little extra power. Front wheel drive is standard, but there are four-wheel drive models available. This vehicle only earned a three out of a possible five-star rating from the NHTSA. 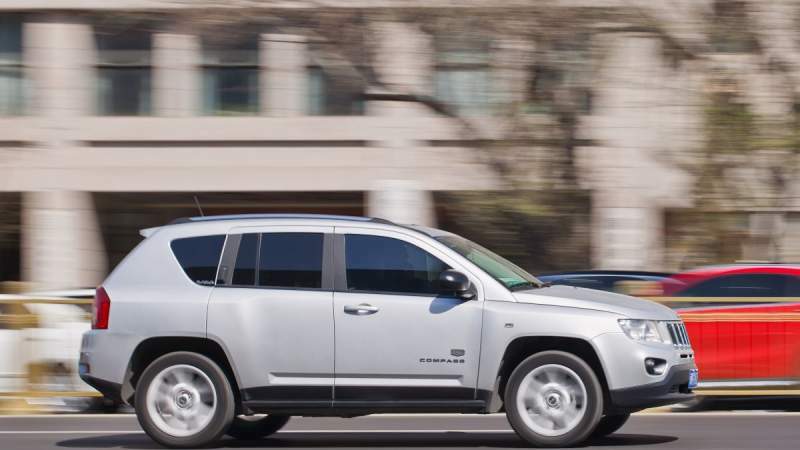 EPA testing revealed that the Compass rated 20mpg in city driving and 23mpg on the highway. With such a smooth ride, many owners consider this a mini-Grand Cherokee. The Compass has a stylish design that is great for city driving. This vehicle has a noisy engine. Jeep has phased out the rechargeable flashlight and integrated tailgate speakers.